FANTASTIC VIEWING EXPERIENCE - A tablet with Android 8'' screen HD IPS display and a Quadcore processor with GPU. Free Android apps for tablets + Free Android tablet games. 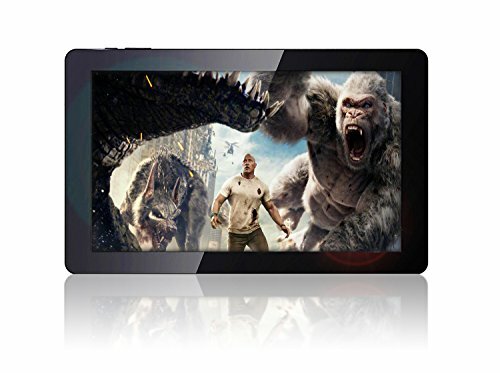 Fusion5 F803B TABLET PC (ANDROID TABLET 8 INCH): Boosted with IPS screen technology - infused with glorious bright colours and saturated in natural high quality images from different angels. HD IPS Display panel is thinner than most with a bezel finish for perfection! TABLET ANDROID PC (ANDROID 7.0 NOUGAT): Loaded and powerful which is back with many features such as Prioritized Communication, better Sound Profile, Better Protection and many more. 8 INCH TABLET WITH 16GB STORAGE: This fantastic Fusion5 F803B model comes equipped with 1GB RAM, 16GB STORAGE, BLUETOOTH 4.0, WIFI and HDMI. So full connectivity on the move. Stay in touch just about anywhere with this fully-compatible graphic and workhorse machine. Packs a punch of value!! 12 MONTHS FULL USA WARRANTY (AS STANDARD FOR ALL FUSION5 PRODUCTS): This Fusion5 Android Tablet PC 8'' comes with a full warranty. We have the upmost confidence in our product range of tablets with Android - so much so that we offer a full 12 month USA warranty period with a dedicated USA Service Centre.